Do you know the average length of content for pages ranking first in Google? It’s a massive 2,500 words! And while we can’t know for sure whether that relationship is causative or correlative, the fact remains that longform content dominates the search engine rankings. But when you create longform content, you can’t just throw up a 2,500+ word wall of text. You need to pay special attention to how your format your content so that your readers don’t get driven away. In this post, I’ll give you some general tips to help you design great longform content that keeps your users engaged and reading. Longform content lets you create incredibly detailed posts to take advantage of Brian Dean’s popular Skyscraper SEO technique. People actually like reading longer content. Medium found that ~7 minutes was the optimum reading time for posts. That doesn’t mean you should make every post take 7 minutes to read – just that people don’t hate longer posts (as is often assumed). 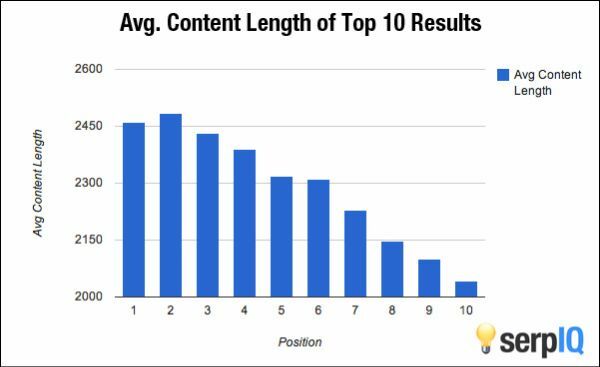 Moz found that longer content gets more links. Again, this data is correlative, but it does suggest that people view longer content as more authoritative. 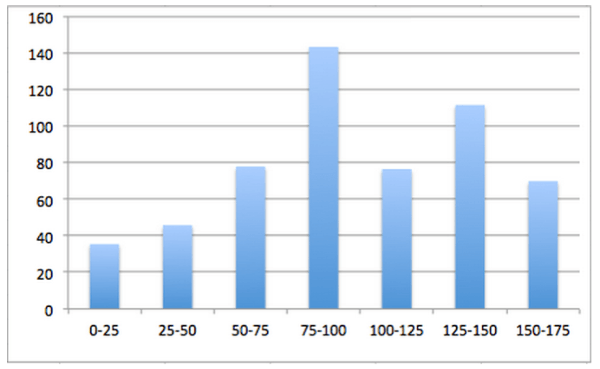 The Medium reading length analysis I linked earlier tells us that people don’t mind reading long content. But that doesn’t mean people want to be surprised with long content. It’s always nice to tell your readers exactly how much time they’re likely to invest in a specific piece. Maybe they’re on their Pomodoro break and only have five minutes! You can easily add something similar to WordPress with the Reading Time WP plugin. The plugin even lets you use shortcodes so you can add estimated reading time to Divi modules. If I had to suggest one overriding design principle for longform content, it would be this one. Many of the following suggestions will connect to white space in some form or another. Walls of text are just plain intimidating. Put yourself in your reader’s shoes, would you ever read something that looked like this? My eyes hurt just looking at that example! And it’s not just me, Jakob Nielsen found that making text more concise and scannable increased usability by 124% over the control group in his test. Never feel like you need to fill the whole page with content. It’s okay to have a white margin around your content. Images can have some space to breathe. 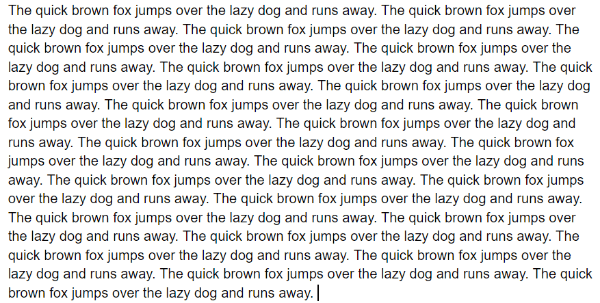 You can write short paragraphs and use large line spacing. See what I did there? I used a list to break up my text! Isn’t that easier to read than saying “liberally use elements like lists, pull quotes, bolded text, and italicized text”? You can easily add these buttons to your own WordPress content with CoSchedule’s Click to Tweet plugin. You may have noticed this post, and most other pieces of longform content, includes numerous images. Not only do images help break up text and add white space, but liberal use of images also correlates with higher numbers of social shares according to BuzzSumo. One way to effectively use images is as examples to drive home your points (like I’ve been doing). But another worthwhile use of images is to bring in charts and graphs to help illustrate data. Humans process images much more efficiently than text, so a chart or graph is a great way to help your readers understand complex data. If you don’t already have a chart, you can use a tool like Piktochart to easily create eye-catching illustrations. And finally, custom illustrations add an air of authority to your longform content. Not only are they nice to look at, but they also signal that you invested significant time and effort into your longform content pieces. In the usability study I linked earlier, one of Jakob Nielsen’s suggestions for making pages more usable is “meaningful sub-headings (not “clever” ones).” Headings and subheadings grab readers’ attention and draw them through your content. One of my favorite pieces digging into subheadings is this short, but juicy, guide from Brian Clark at Copyblogger. If you’re investing time into creating longform content, you probably have a marketing goal in mind. It might be getting readers to subscribe to your list, purchase a product, or any other type of action. If you want your readers to actually perform those actions, you need to push them to do just that with a call to action. But the problem with longform content is that it’s surprisingly easy for your call to action to get lost, or missed, when it’s mixed in with 3,000 other words. By utilizing multiple calls to action in longform content, you maximize your chances of pushing your readers to action. And because your content is so long, three calls to action aren’t in any danger of overwhelming your readers. Longform content correlates with higher search rankings and more backlinks. But you never want to be the writer publishing 3,000 words of pure text. Use these tips to create scannable longform content with liberal use of whitespace and images. Keep your headings meaningful to promote scannability, remember to break up paragraphs with lists, quotes, and bolded text, and add multiple call to actions if you want to push your readers to action.